“Data scientist,” so says the Harvard Business Review, is “the sexiest job of the 21st century.” What accounts for the prestige that this new professional mode of knowledge production now enjoys across institutions ranging from non-profits to research labs, corporations, hospitals, and schools? Based on a two-year ethnographic study of teams developing Massive Open Online Courses or MOOCs, I show how the power of data scientists hinges on their ability to situate other professionals with relevant expertise simultaneously as collaborators (or competitors), as “users,” and as “domain experts,” and switching strategically between the three registers. 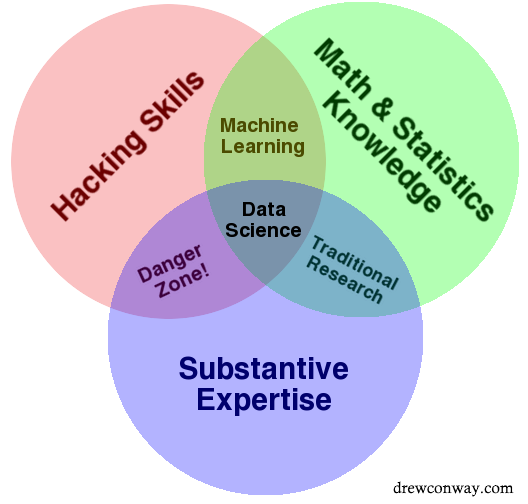 Data scientists thus dictate the terms in which other experts participate in shared projects, incorporating potential rivals and effacing their own power. I argue that “data science” is but one facet of a broader and emerging form of expertise that I call “platform expertise” that is contingent on the instrumentality of digital platforms. Platform expertise is neither abstract knowledge nor a method; rather, it is a set of normative logics: an ethos of open-endedness; an emphasis on fast, iterative production processes and data-driven decision-making; and a focus on governing for emergent effects, scalability, and personalization. These normative logics emerged in the workplaces of Silicon Valley but they are being put to use by reformers who seek to reinvent their own institutions, a process that I call “platformization.” “Platform expertise”—as a network of devices, institutional forms, and people—is the vehicle through which Silicon Valley norms around “innovative” work travel into other institutions, thereby setting up debates about the values and ultimate goals of these institutions. Shreeharsh Kelkar is an interpretive social scientist interested in understanding how the new computing infrastructures of humans, algorithms, software, and data are changing labor, work practices, and expertise. His work has been published in New Media and Society and mentioned in the Financial Times. His dissertation, Platformizing Higher Education: Computer Scientists and the Making of MOOC Infrastructure, describes how computer professionals and their regime of expert knowledge are re-configuring our notions of educational expertise. He is a lecturer in the Interdisciplinary Studies Field Major (ISF) at the University of California, Berkeley. HeI finished his PhD in History, Anthropology, and Science, Technology, and Society (HASTS) at MIT. He also has a Masters in Electrical Engineering from Columbia University and a Bachelors in Electronics from VJTI, Mumbai. He has also worked as a computer scientist for Avaya Research and as a summer intern ethnographer for Xerox.